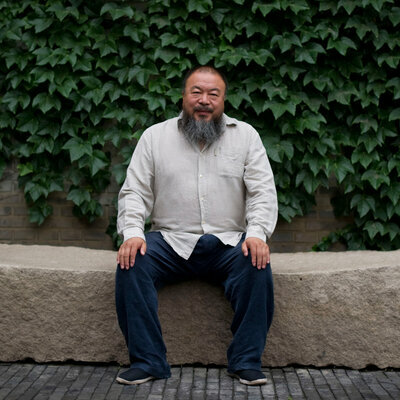 The Chinese artist Ai Weiwei is internationally recognized for his massive, often provocative art installations. And yet, he’s spent most of the past decade under house arrest for his persistent defense of free expression. Ai spoke with NPR about his new documentary, which aims to describe what’s become the largest forced migration since World War II — 65 million people displaced by war, famine and climate change. 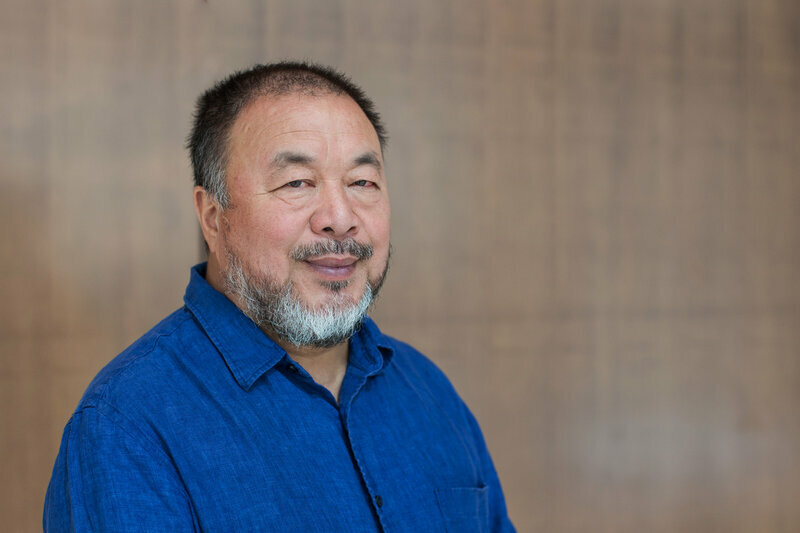 It’s a theme that also hits home for the Chinese dissident, having grown up in isolation with his poet father, who was exiled from China. I was born after the year my father was criticized as an enemy of the people. In China, that’s the biggest crime you can have. My father is simply a poet, a very well-known poet. 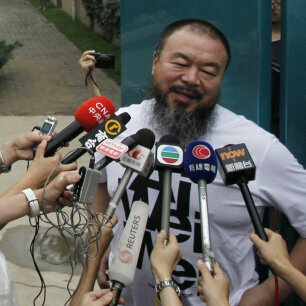 So he had been exiled [and] I grew up with him in a very remote area, the desert actually, in northwest China. So I personally experienced how people have been mistreated and, of course, also really punished, for the crime he never really committed. So I share this kind of sentiment of people who miss everything and lost everything. As a human being, if you sit in front of any of them, if you look in their eyes, you immediately understand who they are. They are just like your brothers or your sisters or your own children or your grandma. It’s nothing different. It’s only something you can see from their eyes. They have courage. They can give up everything, just for safety or shelter, or to see their children’s future maybe will change because they take this action. I have great sympathy for them, for the lacking of knowledge, and as a result, lacking of the understanding of humanity, and also [how they] underestimate their own possibilities to help another person, which can be considered as the highest ritual in many, many religions — just helping someone. Never to say this is too big or it’s not my problem. I do have a great, deepest sympathy for people who don’t have a clear vision about the world and about themselves, [and] don’t understand the value of life.